Accounting certifications come in several different forms. Razlikovanje razlike između njih je ključ kada pokušavate odlučiti koji je pravo za vas. Sa tako mnogo skraćenice, stvari mogu biti zbunjujuće. Ja ću ga srušiti da bi stvari jednostavna i jasna. One of the most common designations is that of the CPA (Certified Public Accountant), međutim, just because it’s widely known doesn’t mean it’s the right title for you. Let’s do a CIA vs CPA comparison to find out just how different these positions are. CIAs, spend most of their time conducting internal audits. CIAs are responsible for ensuring that all the i’s are dotted and t’s are crossed when it comes to a company’s’ financials. This position requires a high level of morality to ensure that money is not being defrauded or misused in any way. CPAs, on the other hand, have a broader certification and may be responsible for performing a number of different jobs, such as income tax preparation, evidencije, Consulting, and auditing financial statements to make sure that these are in accordance with GAAP. CPAs must pass a series of 4 rigorozne testove da postanu licencirani. Each state has its own educational and experience requirements for CPA licensure. Prije nego što može postati Certified interni revizor, you must meet certain educational requirements. Kandidati CIA mora završiti 4 višom diplomu iz akreditovanih univerziteta. You will be required to show proof of completion by providing a copy of your degree or transcripts, ili pismo potvrde iz vašeg univerziteta. Nakon što ste završili svoj diplomu morate dobiti 2 godina radnog iskustva revizije. Ako se odlučite da nastavi magisterij, ovaj će se računati za 12 od 24 mjeseci radnog iskustva. završen 7 godina verificiranih radnog iskustva u oblasti revizije. Jedna od glavnih razlika između CIA-e i CPA je njihove zahtjeve obrazovanje. The state in which you plan to practice as a CPA determines specifically how much education you must have. Na primjer, in Delaware you are required to have a bachelor’s degree plus 2 godina radnog iskustva opće računovodstvene dobiti dozvolu CPA. Međutim, u Kaliforniji trebate diplomu (150 kredita) i 1 year of accounting work experience to get licensed as a CPA. Unlike CIAs, who are nationally certified, CPAs must obtain a license for each state in which they practice. 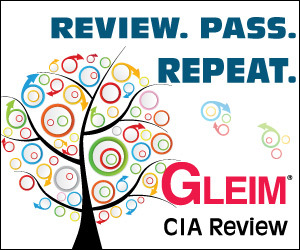 The CIA exam has recently been condensed from a 4-part exam to a 3-part exam. Dio 1 of the CIA exam focuses on internal audit activity, objektivnosti i koncepti upravljanja. Također pokriva kako prepoznati rizike, management, and planning. Dio 2 encompasses everything from audit engagements and fraud to document and report audits. Završni dio ispita CIA pokriva poslovne analize i informatike. Kao što možete vidjeti, both career paths require quite a lot of schooling and work experience. Za mnoge ljude se sve svodi na ono što će biti najprofitabilnije u budućnosti, which brings us to a comparison of the salary of a CIA vs CPA. Uz najveći broj radnih mjesta, salaries vary quite a bit depending on whether you are an entry-level hire or sit in a corner office among the other partners in your firm. According to Payscale.com, Internal Auditors make between $47,800 i $58,500 a year, with senior and management level internal auditors making closer to $100,000 or more. Payscale.com lists the salary range of a CPA as between $41,800 i $98,400 a year, with senior level experienced CPAs making as much as $125,000, if not more. Naravno, depending on your motivation and ability to move up the career ladder, you have the potential to earn significantly more in both careers. Ako imate bilo kakvih iskustva sa ovim 2 accounting designations and would like to share it with our readers, ostavite komentar u polje ispod, Volio bih da čujem od vas!